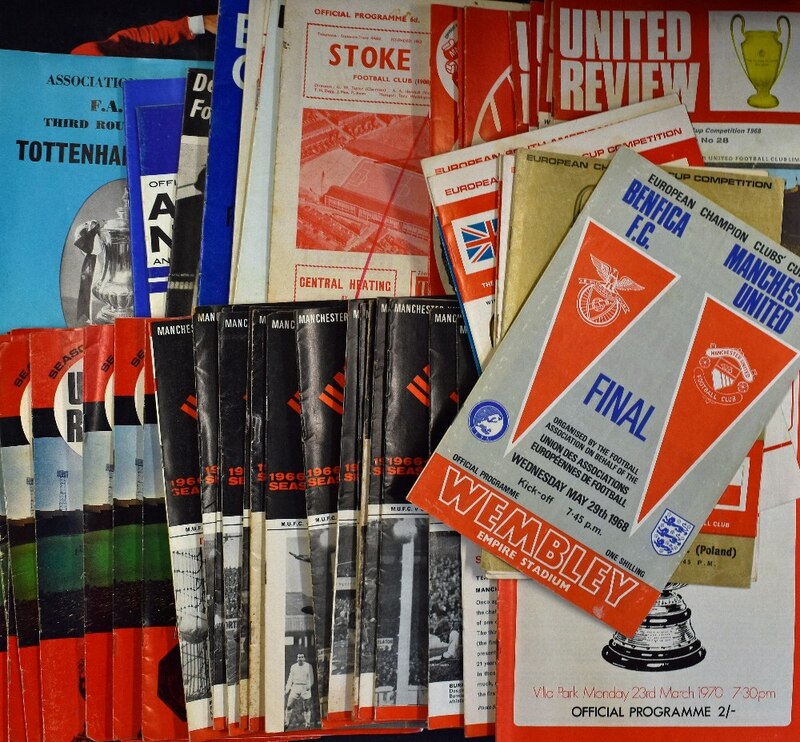 Selection of Manchester Utd football programmes to include 1968 European Cup Final; 1967/1968 v Real Madrid (EC S/F), 1967/1968 v Gornik, 1968/1969 European Cup v Waterford, AC Milan (EC S/F), 1968/1969 Estudiantes (Argentina), 1969/1970 v Leeds Utd (FA Cup S/F replay), 1972 v Celtic (Charlton test) plus homes 1966/1967 (16), 1967/1968 (12), 1968/1969 (5), 1970’s (3). 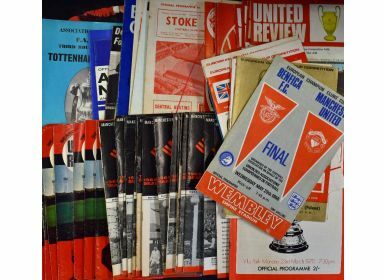 Also 1960’s aways (11) including v Spurs (FAC) (pirate Starkey) + (pirate Pegg). (1 small box) Fair-good, worth a view.